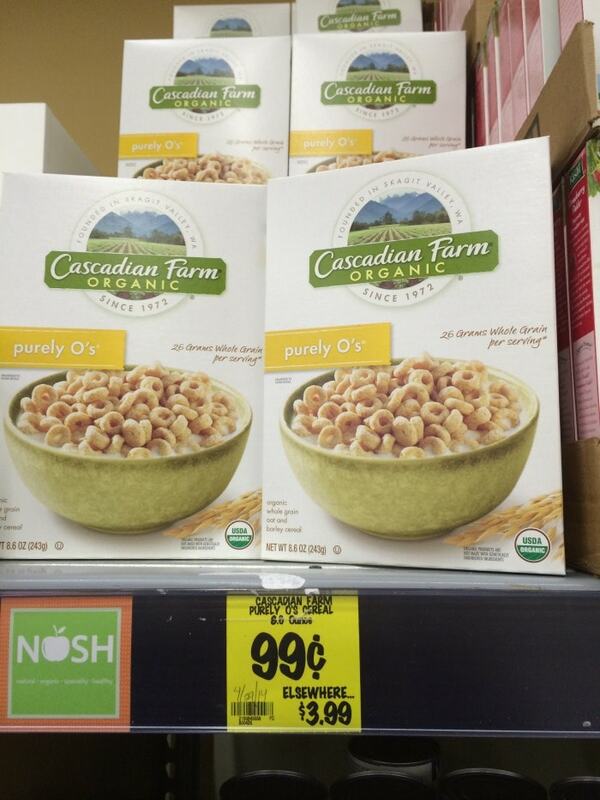 Grocery Outlet Finds – Many Natural & Organic products & Enter to Win 1 of 2 $25 Gift Cards! 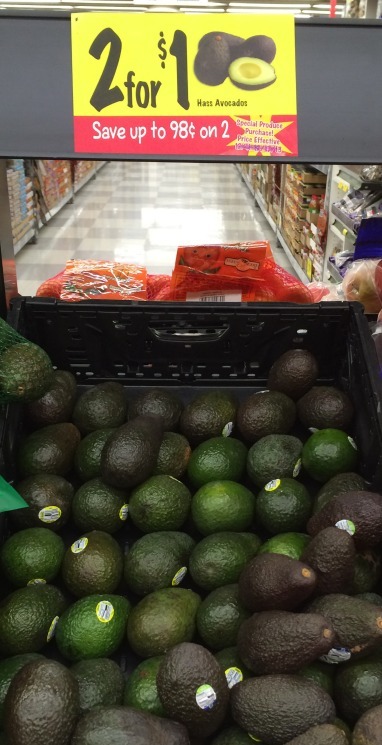 I headed in to Grocery Outlet last night to do some shopping and wanted to share a few of my finds with you as there were definitely some great deals I found. I’ve mentioned before that my husband and I have really been working on eating healthier this year starting in January, so I thought Grocery Outlet would be a great place to find some good produce deals & also look for some organic options, as we’ve been trying to slowly increase the amount of organic food we’re buying, when it’s possible with our budget. I love that Grocery Outlet (at least at my store in Bonney Lake, and I’ve been others like this too) has a dedicated section full of organic products, plus they have options all around the store. You just never know what you’ll find there, so you definitely need to stockup & build your stockpile if you do find favorite products on sale when you are there. 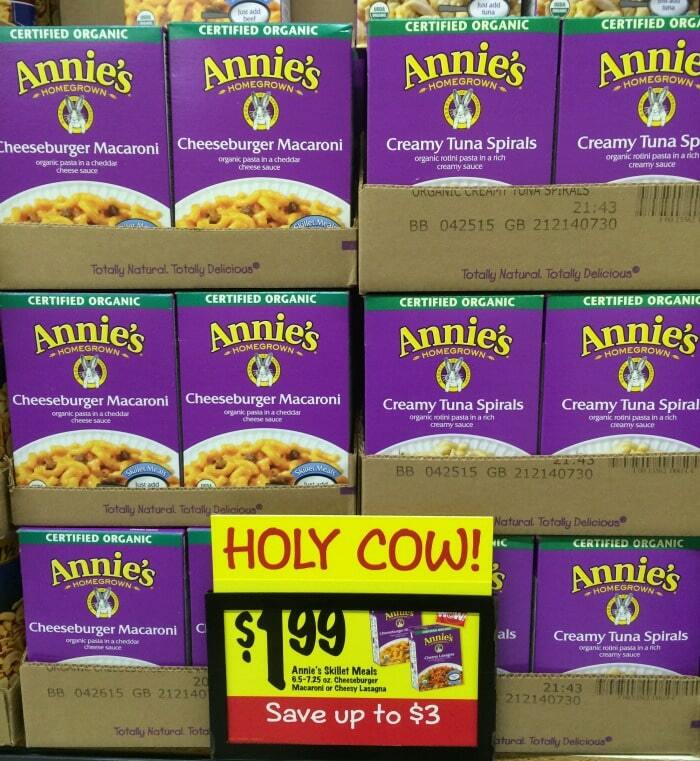 Annie’s Homegrown Organic Skillet Meals – $1.99 – definitely another great price for Annie’s products! 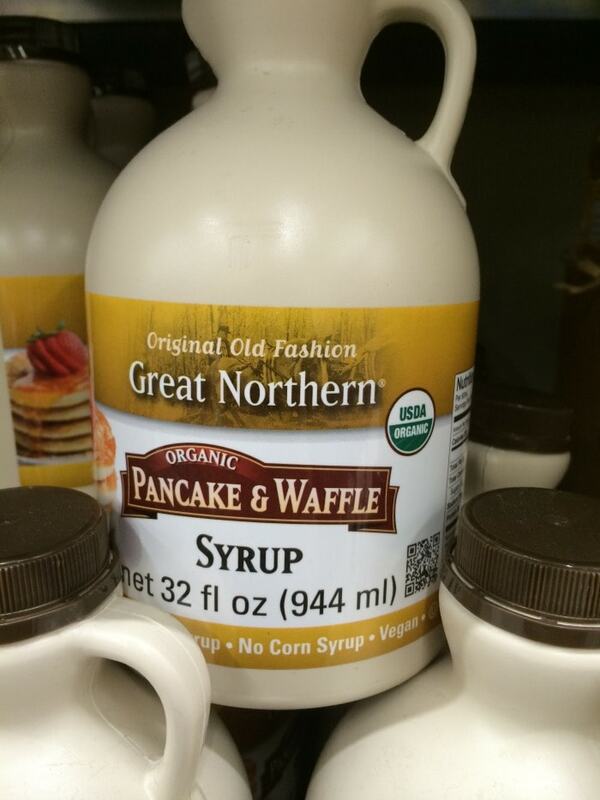 Great Northern Organic Maple Syrup – $7.99 – My hubby loves a good maple syrup & this is an organic brand (& vegan too) & this is an awesome price for this big jug! I’ve never tried this flavor – have any of you tried it – if so, what did you think? 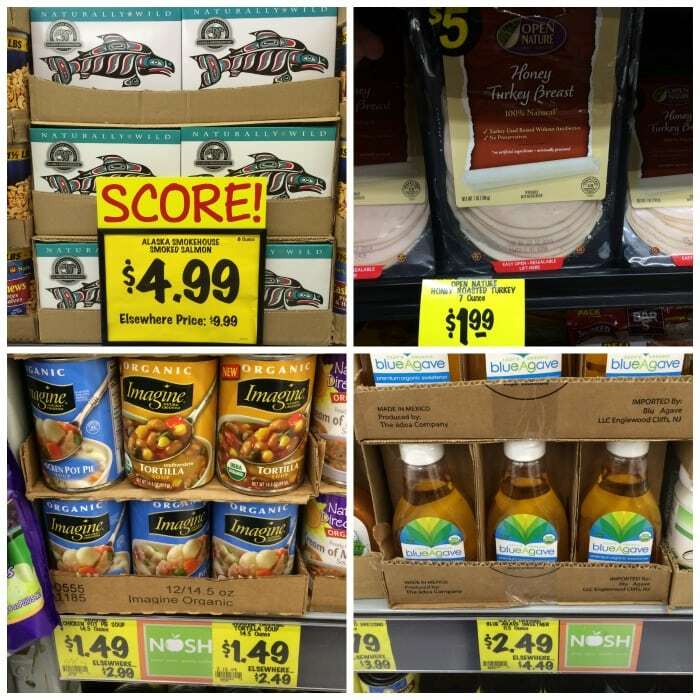 Don’t forget that Grocery Outlet deals do vary from store to store, so this is what I found at the Bonney Lake store; the selection at your store may vary, but it gives you some ideas of items to look for. Let us know what great deals you find at your store! The Grocery Outlet is providing Thrifty NW Mom readers the opportunity to win a $25 Grocery Outlet gift card for 2 winners! This is your chance to see how far you can make that $25 stretch & what fun items you can find for your family on sale! This giveaway will end on February 25, 2014 at 9pm pst. The winners will be drawn using “And the Winner Is” plugin and announced on the blog. I will also email the winners. The winners will have 48 hours to contact me, otherwise a new winner will be drawn. US residents only & you must be 18 yrs or older to enter the giveaway. This giveaway is not affiliated with Facebook in any way. 4) Leave a comment here saying you “like” the Grocery Outlet Facebook page. Disclosure:: Grocery Outlet is providing the gift cards that will be given to two Thrifty NW Mom winners randomly chosen, and provided us one to shop with and find deals to share with you all. All opinions are 100% mine. See our disclosure policy for more details. One time I got 48 granola bars for $4! 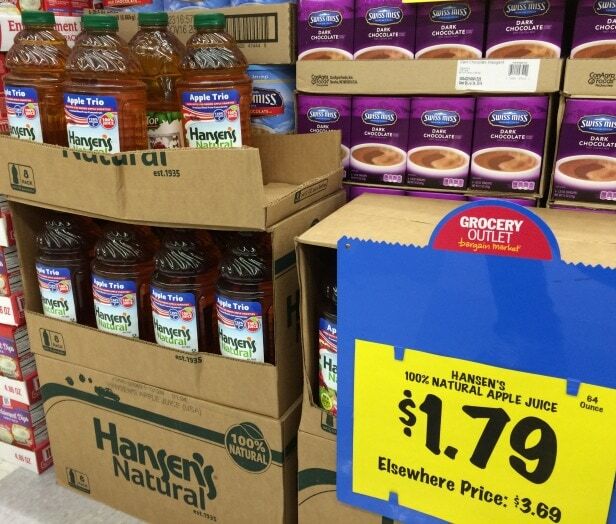 Organic 100% apple juice for $1.99 – yay! best deal I got recently was ground turkey for less than $2 a pound. Hmmm can’t think of a best ever deal, but I too love the organic section! I like GO on FB! i like the grocery outlet on fb. I like Grocery Outlet on Facebook. Tweeted to share the giveaway! I love that store too:)) and blackberries for .99 cents! I got 1pound packages of brats for $1! I can’t think of the best deal I’ve found but I love their organic section – especially for my daughter who has dietary allergies! I love getting my almond milk there! I liked Grocery Outlet on FB. 99 cent Cholula! Best hot sauce ever!!! I liked grocery outlet on FB! Haven’t been for at least 5 years but would love organic deli meat and Annie’s products. I’ve saved $3 per bottle of the same brand of cleansing conditioner I buy at drug store. I always get good deals on juice. Cheeses are always where I save the most. Already liked Grocery Outlet Facebook. The best deal I ever found at Grocery Outlet was Lunchables 2 for $1!!! I shared this giveaway via emails to my friends and family! I am subscribed to your emails and love getting them! I liked Grocery Outlet’s Facebook page. My favorite best deals are feta cheese (50 cents a container) and shredded Parmesan (99 cents). The hunt for a great deal is always interesting. Best Deal at GO is grated cheese at less that $1 / lb. The store always has amazing deals ! Desserts are my favorite finds ! I’ve found Cascadian Farms chocolate 0’s for 99 cents at my local Grocery Outlet!! I got a great deal on LiteLife veggie burgers at $1.49 a bag, when on sale they are at least double that! I got a good deal on hot dogs and hot dog buns. Before Thanksgiving, and also before Christmas, I got a fresh turkey breast/leg for about $6. It feeds 3-4 people. The same thing was about $15 at my regular grocery store. I cooked it for a nice holiday dinner. I subscribe to Thrifty NW mom emails. I subscribe to your email letter. I ‘like’ Grocery Outlet on Facebook. I have found great prices on the Immaculate Baking Company items! I subscribe to Thrifty NW Mom. I shared this with a couple friends who love Grocery Outlet as well for their selection of organic items. The last time I went they had Kerrygold cheese– from organic and grass fed cows-for abt $4 lb. I never buy this cheese since it’s so expensive so it was a nice treat! I like checking out their different wines and cheeses. Thee best deal I ever got at Grocery Outlet was a 5×7 area rug for only $15! I already like the Grocery Outlet Facebook fan page. My favorite deal was sugar free coffee.creamer for .99!!!! I shared the email.with the drawing info.with my neighbor. I’ve liked.the grocery outlet fb page for a.long time. One of best deals has been 2lb of perogies for 1.99! I love their cereal prices and tortillas too! I also subscribe to the notifications via email. Thank YOU! 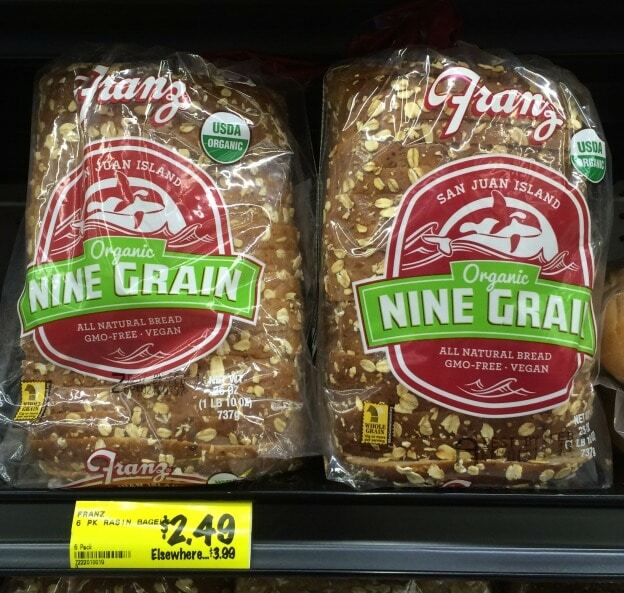 I love the Franz Organic 9 Grain bread and the price! I like GO on facebook! Like Grocery Outlet on FB! Found some great deals on coffee creamers at my GO! Last week I found Annie’s granola bars for $1.49 (I think) a box and bought several! I think the crab cakes in the frozen section are a good deal-tasty and affordable. I would like to find my husbands expensive cereal there!